Hello! I’ve got exciting news for you Little Lattes! Swarovski is hosting a contest, “Dazzle and Shine with Swarovski and Friends,” and I was invited to be participate in it as a judge! Together we’ll be celebrating personal style and fashion through the “Style Scene of Carnival,” which is a celebration of Swarovski’s Tropical Paradise Spring 2013 Collection. The collection – which is vibrantly seen through the eyes of the brand’s beautiful Passport to Sparkle muse, Emma du Monde – was inspired by the fashion that Emma saw when she attended Carnival in Rio last month. In fact, she was so inspired that she wanted to encourage Swarovski fans to share their passion for fashion – which I’m happy to announce, now offers one of you lucky readers a chance to win a $500 Swarovski Gift Card! Not one, but three winners will each receive a $500 Swarovski Gift Card! The contest, which will be hosted through Instagram, will be judged by Kelly Saks from KellysKlosetBlog.com, Flor de Maria of FlordeMariaFashion.com and myself. 4. 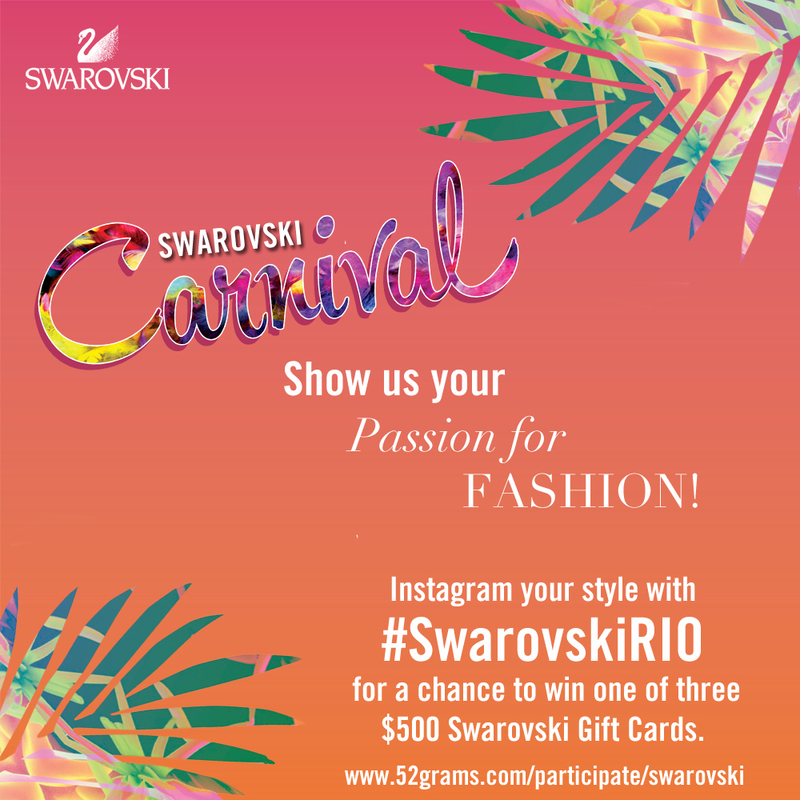 Three winners will be chosen to receive a $500 Swarovski gift card by a panel of style expert judges: Kelly Saks, Hazzle Joy, and Flor de Maria. Just a quick suggestion – not a requirement – but if you want me to find your Instagram picture quicker, you can tag me at @hazzlejoy or comment on this blog post below with your Instagram name. If you have any questions, feel free to comment below. Disclosure: This contest is sponsored by Swarovski – who has compensated me for my participation. All thoughts and opinions posted by myself are my own.